The Nitrate Ion-Selective Electrode (ISE) can be used to measure the concentration of Nitrate (NO3-) in aqueous samples. Nitrate concentration, which can be increased by acidic rainfall, fertilizer runoff from fields, and plant or animal decay or waste, is an important parameter in nearly all water quality studies. 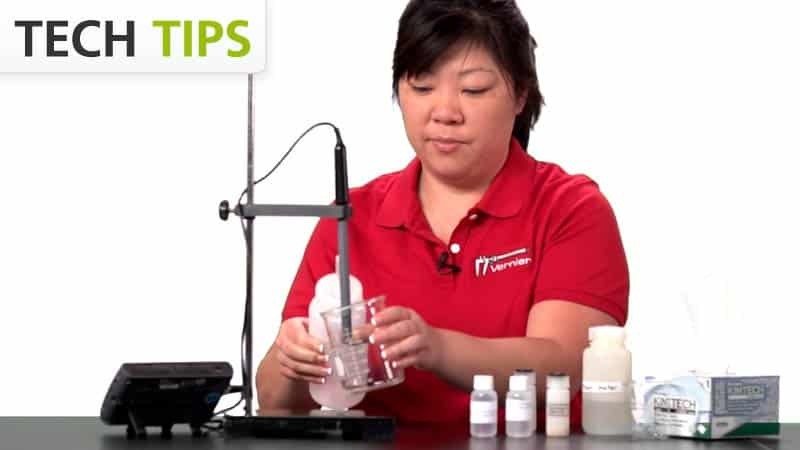 Use the Nitrate ISE to determine the concentration of the nitrate ion in a water sample. The Nitrate ISE has a combination-style, non-refillable, gel-filled electrode. Like all other PVC ISE membranes, the membrane on the ISE has a limited life expectancy. However, the replaceable module of ISE allows you to simply discard the used membrane module, and replace it with a new one. The Nitrate Ion-Selective Electrode may require a compatible interface and software. Choose a platform below to see compatible interface and software options. The Nitrate Ion-Selective Electrode is fully supported with LabQuest 2 (version 2.8.5), a standalone data logger with built-in graphing and analysis software.